Greetings from a new UK based Member! 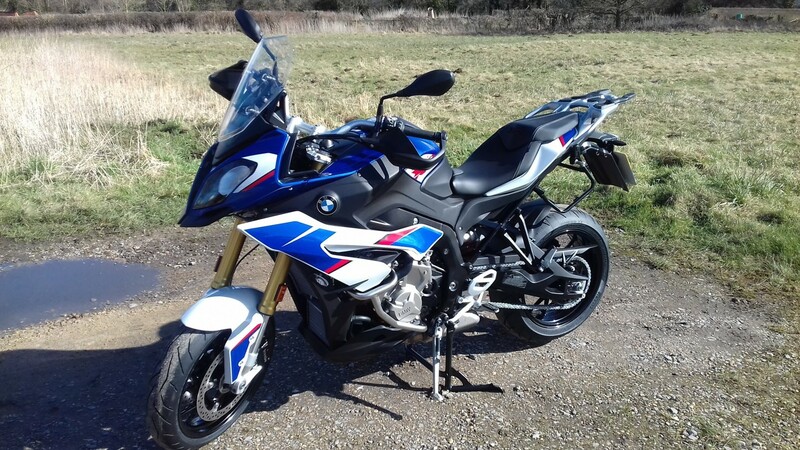 I've just traded in an old GSA and a 4 year old K1600GTLe for a new S1000XR SE. I get it on 1st March and I can't wait. The change is down to the missus who has got a bit arthritic and doesn't fancy long bike hauls anymore. The good news is that I now get to play! Looking forward to finding all about what you guys have to offer in the way of advice for the new steed! Re: Greetings from a new UK based Member! and congrats. I too have just joined and bought a XR! Hello Martyn B and welcome to the forum. Try to hang in there. March is coming soon. Let us know your first impressions when you get to play. 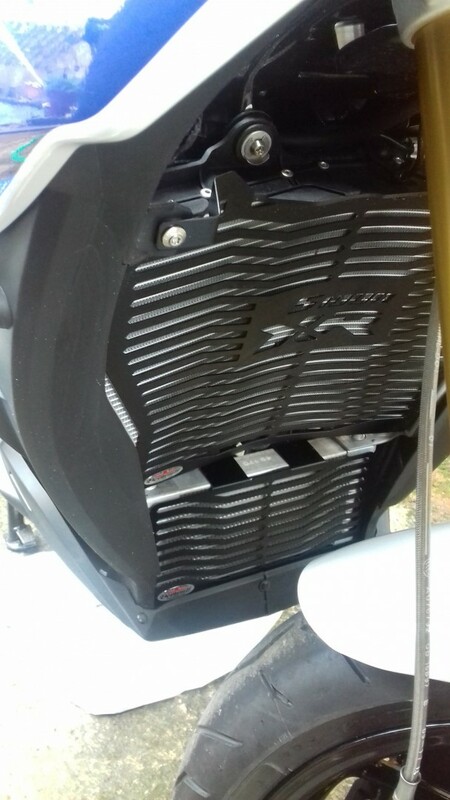 Hi Simon, have you ridden it yet? 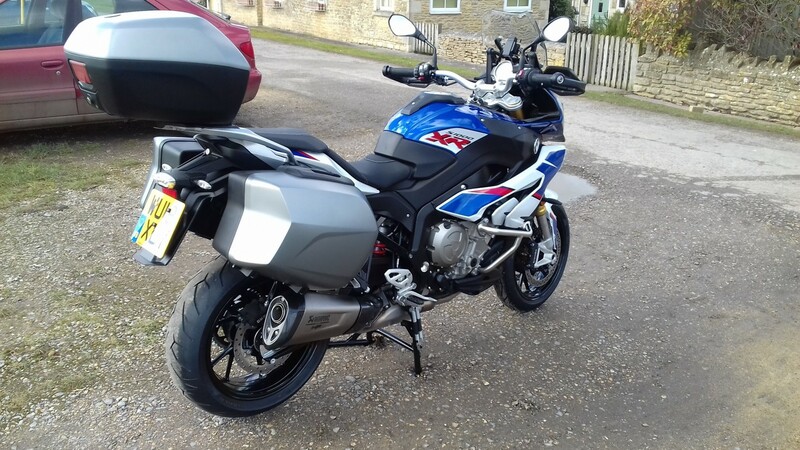 Big difference from the 1600 for sure..
You getting the BMW panniers? 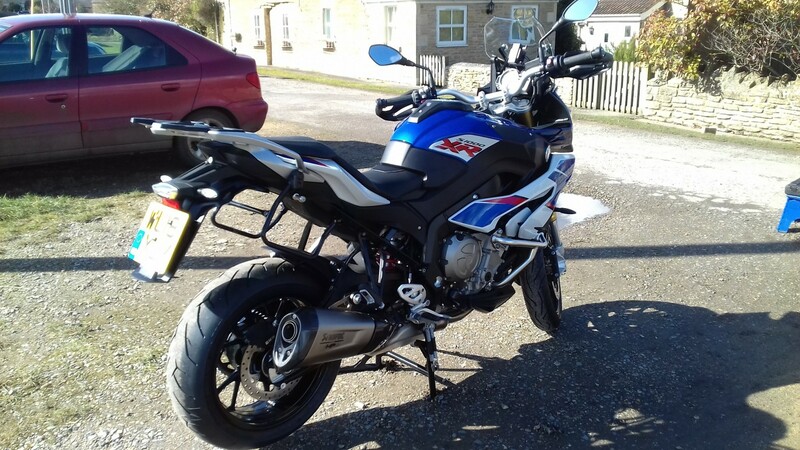 I find it the perfect touring/sports bike - and see it staying for a few years. Not really, just from the shop to home and a 20 mile demo before I bought it. I did ride the 1st XR to come into the upstate a few years ago for 100+ mile up in the mountains. I test rode one back in 2016 and then again last July. On both occasions it blew my brains out but I knew the other half would hate it after the K1600 so I never saw myself getting one. 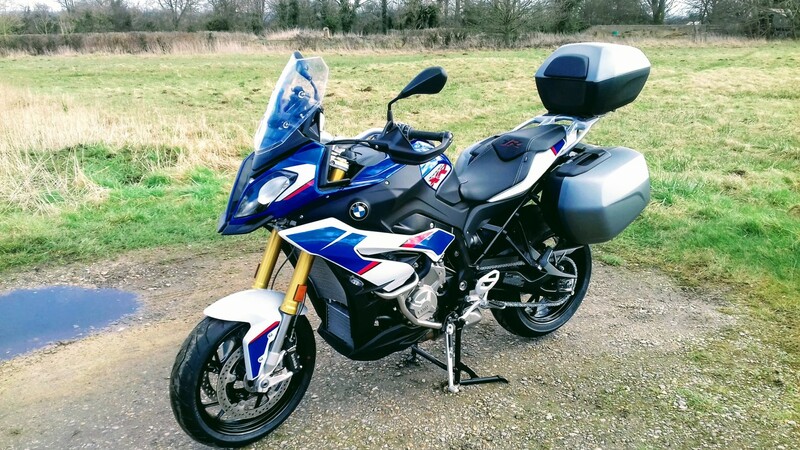 I have bought the BMW panniers but they are going to look really bland in grey. I wonder if anyone has some advice about paint jobs in the UK? That may be my first post. 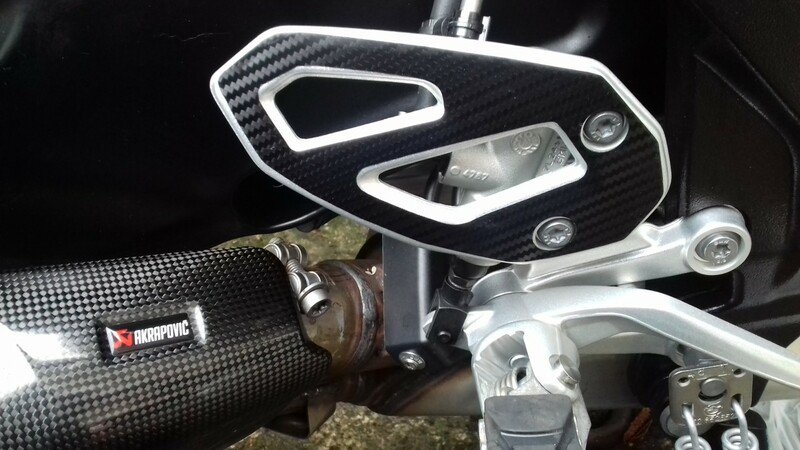 I've also got the top box and an Akra silencer. Should be brilliant! Well you're probably getting better weather than us (I think SC is South Carolina) So, you're an ex-Pat? Thanks - I'm just trying not to ding the trade-ins before I get it! Difficult as I'm a very busy bunny on two-wheels even in this crappy weather we're having here. 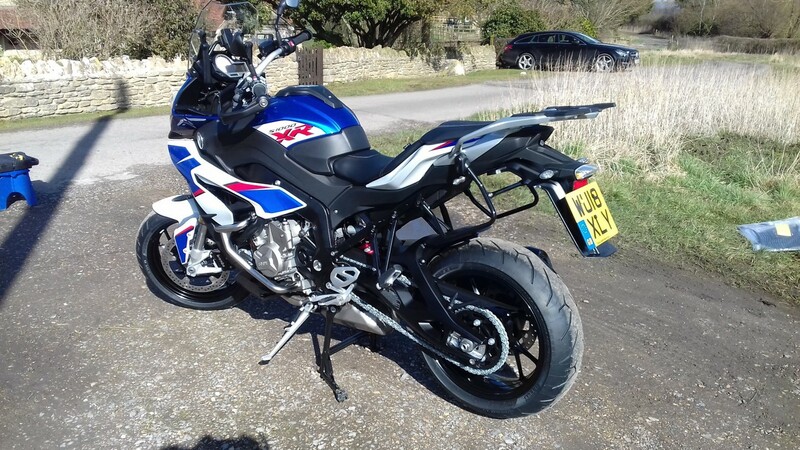 Well the weather in the UK put paid to 1st March but I did get it a week later - and a very happy bunny I am as well! Love the way the power comes in even with the 7000 rpm running in limit. The Pirelli Diablo Corsa II rubber it came with really inspires confidence in the twisties. Really looking forward to unleashing the rest of the power. Fifteen years of riding with telelever suspension and linked brakes has got me into some bad habits though!